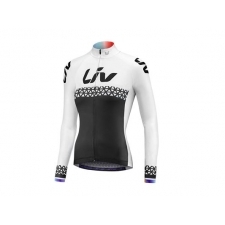 Get the pro cyclist look with the all new Liv Race Day Mid-Thermal Long Sleeve Jersey. 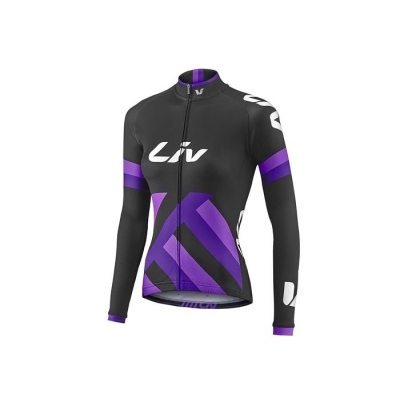 Constructed using lightweight and moisture wicking ThermTextura insulating fabric for retaining warmth on colder days, Race Day offers a high performance aerodynamic Race Fit cut so you can perform at your best and feel comfortable even on longer rides. Attentions to detail include a practical full length zipper, three rear pockets for storage and a silicon rear gripper to prevent riding up. 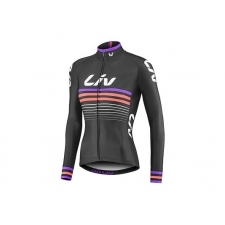 Buy your Liv Race Day Women's Long Sleeve Mid-Thermal Jersey, 2017, Black and Purple from GiantBikeSpares.com.